China, India and Pakistan are engaged in a nuclear competition of growing intensity. The increased range and destructive capacity of regional ballistic missile delivery vehicles means that new targets can be held at risk. India’s 5,500 kilometer (km)-range Agni-V ballistic missile now places Chinese east coast targets at risk, while Pakistan’s 2,750 km-range Shaheen-III missile is designed to reach Indian destinations as far afield as the Andaman and Nicobar islands. Further increases in ballistic missile ranges could be forthcoming. This competition is magnified by the advent of South Asian nuclear-capable or nuclear-armed cruise missiles, as well as the growing importance of cruise missiles in conventional force postures and war plans. Compared to ballistic missiles, cruise missiles are more difficult to track on the ground or in flight, have a smaller launch and radar cross-section flight signature, and can more easily evade interception measures through low-flying trajectories, supersonic speed potential, and flight-paths that circumvent air defense installations. 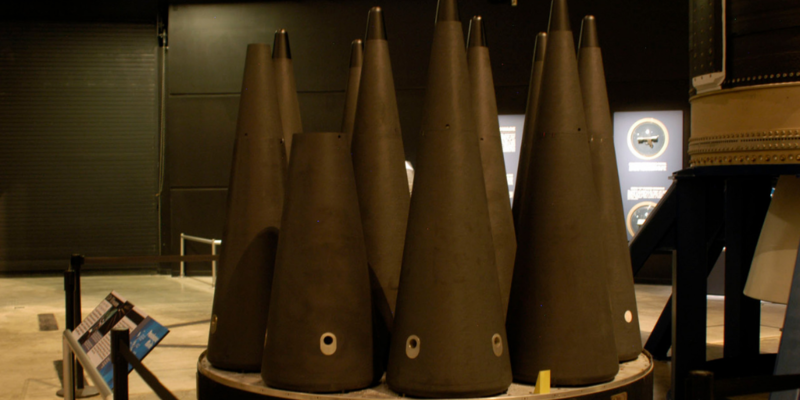 If ballistic missile defenses (BMD) are deployed, a high-value enemy target can be concurrently attacked by cruise and ballistic missiles, or by a cruise missile barrage arriving from multiple directions. India’s national technical means to detect cruise and ballistic missile launches and flights are fairly limited, while Pakistan’s are non-existent. The emerging prospect of missiles with dual conventional and nuclear missions also complicates efforts to build stability within this regional nuclear competition. Dual-capable missile proliferation elevates ambiguity in nuclear postures and the accordant risk of misinterpretation of missile-related activities. In envisioning policy approaches to reduce the scale of the South Asian nuclear rivalry, efforts to introduce clarity around missile programs and intentions therefore merit special attention. I propose an innovative nuclear confidence-building and risk-reduction measure to ameliorate the risks of this intensified missile competition. My proposal is the integration of missile flight-test notification agreements between three pairings of states: India and Pakistan; the United States and Russia; and Russia and China. In addition, to attain the maximum stabilization benefits, I propose that these pre-notification agreements be harmonized and expanded. A survey of recent regional missile developments reveals the intensity of this competition. Adding to its portfolio of nuclear platforms targeted at India, Pakistan has recently announced the Shaheen-III, the Nasr battlefield nuclear missile, and the Ababeel, a 2,200 km-range ballistic missile designed to host multiple warheads. Cruise missiles, such as the ground-launched Babur and air-launched Ra’ad platforms, also appear set to assume a greater role in Pakistan’s nuclear posture. Pakistani officials have indicated that cruise missiles would ensure a sustained, credible nuclear strike capacity in light of India’s emerging BMD capabilities. 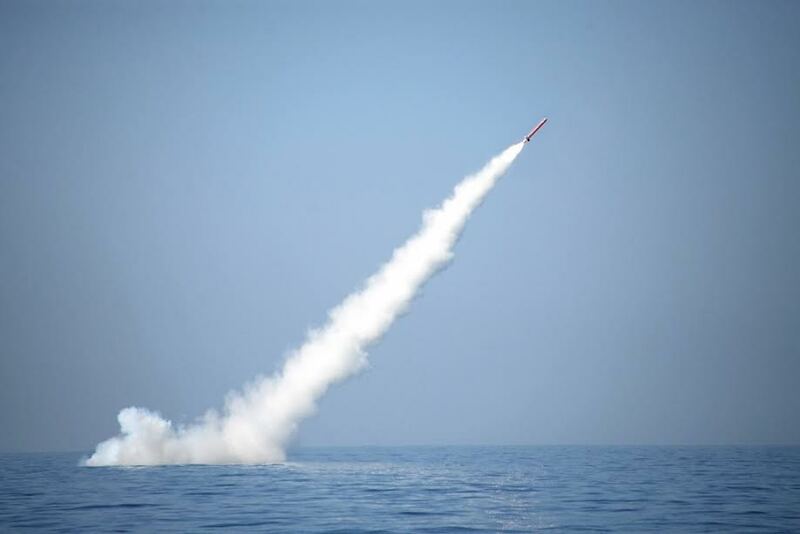 In seeming preparation for a naval nuclear deterrent force, Islamabad recently tested a 450 km-range Babur-III submarine-launched nuclear cruise missile (SLCM). The Babur model is additionally likely to be assigned conventional missions, reflecting the rising importance of cruise missiles to general offensive strike planning. Indian nuclear advancements are increasingly concentrated upon the task of posing a credible threat to China. From Rawalpindi’s perspective, these capabilities also generate greater challenges for Pakistan’s nuclear survivability. As well as the Agni-V, New Delhi is developing submarine-launched 3,500 km-range K-4 and 700km-range K-15 ballistic missiles in support of its nascent Arihant-class (SSBN) fleet. China hosts the most advanced missile capabilities in this triangular competition, and is continuing to improve the mobility and destructive capacity of its forces. Chinese ballistic missiles intended for Indian targets reportedly include 1,750 km-range DF-21 and 7,000 km-range DF-31 ballistic missiles. Beijing is increasing its number of road-mobile DF-21 missiles, and reportedly exploring future multiple-warhead variants of the DF-31. In the naval domain, China is assigning 7,000 km-range JL-2 missiles to its Jin-class SSBN fleet. Chinese security managers are furthermore experimenting with potentially nuclear-capable hypersonic glide vehicles, designed to evade BMD systems, with a successor to the DF-21 as a likely candidate missile to carry this new vehicle. China also possesses an extensive and growing armory of cruise missiles, with the ground-launched 1,500 km-range DH-10 and air-launched CJ-20 land attack cruise missile (LACM) models as possible candidates to be assigned nuclear missions. While continuing to expand its stockpiles, China is also focusing upon indigenously developing supersonic cruise missiles, further augmenting the threat posed by these platforms. The sheer scale of the contemporary South Asian ballistic and cruise missile competition is highlighted by the table below, summarizing missile flight-test activities since 2016. In this rapidly evolving context, security dilemma effects could be amplified by opacity surrounding these missile programs. States could calculate their nuclear requirements based upon worst-case assessments of these rival strategic activities, with an enhanced risk of these interpretations being incorrect. An additional issue is the growing prominence of missiles with potential dual conventional and nuclear missions, with the DF-21, Babur and Nirbhay among candidates to hold these multiple assignments. This trend could lead adversaries to wrongly assume the status of missiles being readied or targeted in a crisis, threatening inadvertent escalation. India and Pakistan have negotiated confidence-building and nuclear risk-reduction measures. Notable initiatives include a 2007 agreement on immediate notification of nuclear accidents; a 1991 accord to notify each other, and limit the geographic space, of major military exercises; a 1988 agreement to refrain from attacking nuclear installations, involving an annual exchange of details of designated facilities, and -- especially for our purposes -- a 2005 arrangement on pre-notification of ballistic missile flight-tests. However, these isolated commitments have not yet led to further-reaching arms control or stabilization initiatives, including prospective nuclear force and infrastructural reductions. As India’s nuclear force serves to deter China as well as Pakistan, India has rejected Pakistan’s proposals for bilateral arms control agreements. China has not participated in the above mechanisms, and largely involves itself in South Asian nuclear risk-reduction efforts only through regular restatements of its no-first-use doctrine. To attenuate the intensity of the South Asian nuclear and missile rivalry, a greater Chinese commitment to confidence-building and nuclear risk-reduction initiatives is needed. Pre-notification of missile flight-tests is one useful way to proceed. An innovative approach to address this challenge consists of combining, harmonizing, and expanding the bilateral missile flight-test pre-notification accords developed by India and Pakistan, China and Russia, and Russia and the United States. This would attain dual goals of enhancing the effectiveness of the South Asian ballistic missile flight-test notification regime, while securing the initial integration of China into subcontinental nuclear confidence-building measures. Under the 2005 India-Pakistan missile launch accord -- the foundational element of an expanded and integrated regime -- Islamabad and New Delhi have committed to inform each other of a planned five-day period within which a ballistic missile test will take place, with three days’ notice of the initiation of this window. The notification includes a warning of the air and naval areas to be affected by the test. India and Pakistan have also pledged that missiles will not overfly the international border and/or Line of Control, and that their trajectories will remain at least 40 km away from and land at least 75 km from these boundaries. As one of the few nuclear risk-reduction and confidence-building agreements to be instituted between India and Pakistan, the initiative has significant stabilization benefits. In providing solid early confirmation that a missile launch is a scheduled test, rather than the first salvo of an offensive strike, the regime reduces the risk of strategic alerts or counter-mobilizations based upon a misreading of missile activity. This can prove especially valuable within a crisis, when security managers are especially sensitive to any missile movements and flight-tests. Nevertheless, this regime presently evidences significant limitations. First, it entirely omits notifications of cruise missile flight-tests, leaving dangers of misinterpretation of cruise missile launches and deployments unaddressed. Second, the accord permits multiple launches within the notified window. Third, China is absent from the agreement, despite planning “arguably the world’s most missile-centric approach to warfare today.” As Beijing continues to introduce and flight-test new missiles without any prior notification to New Delhi, a risk of Indian worst-case assumptions regarding Chinese nuclear intentions and capabilities remains unmitigated. Beijing has, however, agreed to a bilateral accord with Moscow on pre-launch notifications. As the most limited of the three regimes considered here, China and Russia have committed only to inform each other of flight-tests of ballistic missiles with a 2,000 km-plus range and a trajectory approaching their border. By comparison, under a 1988 agreement, Russia and the United States have committed to pre-notify each other of all inter-continental ballistic missile (ICBM) and submarine-launched ballistic missile (SLBM) launches, with this arrangement incorporated into the 1991 Strategic Arms Reduction Treaty (START). This regime requires at least 24 hours’ notice of a four-day window within which flight-tests will be conducted, with associated demarcation of the test area. A 2000 bilateral memorandum extended the remit of these notifications to include all ballistic missile launches with a range or peak altitude greater than 500 km. However, the shortcomings of these U.S.-Russian initiatives echo those of the 2005 subcontinental regime. While the 1987 Intermediate-Range Nuclear Forces (INF) Treaty bans possession, production and testing of ground-launched ballistic and cruise missiles with a range of between 500 km and 5,500 km, these U.S.-Russian arms control and disarmament agreements still lack pre-launch notifications regarding air- and sea-based cruise missiles, as well as ballistic missiles with a range or maximum altitude below 500 km. Under the agreement proposed here, the India-Pakistan, China-Russia, and U.S.-Russia agreements would be combined, conformed, and expanded. First, all five member states would commit to pre-notify each other of any ballistic flight-test, regardless of range, at least 72 hours before the commencement of the launch window. Second, similar notifications would be required for cruise missiles, a growing element of the nuclear-armed or nuclear-capable forces of all five states. Third, only one missile would be permitted to be launched per test window. This would assist in curtailing the scale of missile testing, including testing on a scale that could be misinterpreted as war preparations or war-fighting. Multiple missile launches could simulate major nuclear or conventional strikes, including the emerging concern of conventional missile attacks upon nuclear forces, command and population centers, and other significant strategic targets. Fourth, in addition to providing notification of the test area, states would also ban missile tests that overfly the land borders of fellow members, and prohibit trajectories and impact zones from entering areas within an agreed minimum distance from these boundaries. This distance could be initially extended to 100 km for both the flight-path and landing zone, further reducing missile threat perceptions and risks of misinterpretation of a launch. Adopting this combined, harmonized and strengthened agreement would have numerous positive impacts on nuclear confidence-building and risk-reduction efforts in South Asia and between major powers, as noted below. While the benefits of this proposal are readily apparent, the path toward its implementation will not be easy. China’s reticence regarding joining South Asian nuclear risk-reduction and confidence-building initiatives constitutes the main obstacle to the conclusion of this agreement. Beijing’s reluctance emanates from two sources. First, Chinese policymakers refuse to recognize India as a peer nuclear rival, and as such reject Indian entreaties for a meaningful strategic nuclear dialogue. Negotiating this new regional mechanism, and committing to mutual informational exchange, would implicitly require a shift in Chinese nuclear approaches toward India. This could prove a difficult pill to swallow for China, in publicly endowing new status upon a rival that it has long considered as its strategic inferior. Second, China’s concept of deterrence relies upon ambiguity regarding its force constitution and locations. Beijing has accordingly long resisted international pressures to adopt transparency measures beyond reiterations of its no-first-use nuclear doctrine. China refrains from outlining details of its nuclear force size and shape in multilateral dialogue with NPT nuclear weapon states, a tendency also reflected in its bilateral engagements with the United States. This approach is motivated by Chinese concerns that offering more clarity in this domain would undermine its second-strike survivability, in possibly providing the necessary information to enable a successful first strike by an adversary. Moreover, Chinese participation in this new flight-test mechanism would necessitate offering rivals prior information regarding the timeframe and geographic area of a missile test, enabling more accurate external assessments of ballistic and cruise missile capabilities and launch sites. The implications of current Chinese nuclear attitudes toward force transparency and India therefore serve as the principal barrier to this proposed creation of a five-state missile flight-test pre-notification regime. Despite these obstacles, there are several reasons for implementing a unified flight-test regime. As the main obstacle to concluding such an agreement, China may soon be obliged to reconsider its standoffish nuclear diplomacy. As Washington considers missile programs, such as conventional prompt global strike, and builds a closer strategic partnership with New Delhi, Beijing can either remain aloof or engage. Beijing’s participation in this new accord could provide a clearer assessment of the missile programs of Washington and New Delhi, while potentially reducing the China-centric threat perceptions that propel U.S.-Indian strategic collaboration. Moreover, Beijing does not like to be an outlier. If the other four nations are inclined to engage in missile data-sharing, trust-building, and potential further nuclear collaboration, China might become motivated to join. China’s stance toward India has also been partly predicated upon the previously limited nuclear threat that India posed, especially regarding targets beyond Tibet and southwest China. The increasing range of Indian missiles -- posing a greater threat to major Chinese population centers and military targets -- could incentivize Chinese policymakers to accord greater value to receiving details of Indian nuclear and missile programs through this agreement. Indeed, the emerging concern of Indian missiles carrying multiple, independently targetable re-entry vehicles (MIRVs) could further prod China toward engaging India. Implementing this agreement would deliver multiple benefits for South Asian nuclear security. Given the increasing pace of ballistic and cruise missile developments, pre-notification protocols could lessen the risk of destabilizing “surprises” of unanticipated missile activities, and reduce dangers of worst-case assessments – including preparations for a nuclear attack. Conversely, missile launches that have not been pre-notified could provide reason to adopt defensive measures. Restrictions on multiple missile launches within a single test window could be especially valuable. The experience of negotiating such an agreement, and the regularization of information exchanges throughout periods of both peace and tension, could serve to build trust among participants. If sufficient confidence could be established by all participants in the value and integrity of notification data provided, other transparency, confidence-building and nuclear risk-reduction measures might follow to deepen this regime. Other side benefits could result from strengthening, expanding, and harmonizing the discrete India-Pakistan, U.S.-Russia, and Russia-China notification initiatives. The presently moribund U.S.-Russia Joint Data Exchange Center proposal, involving establishment of a military hub to share real-time information regarding bilateral or third-party missile launches, could be rejuvenated as an addition to this multilateral notification system. 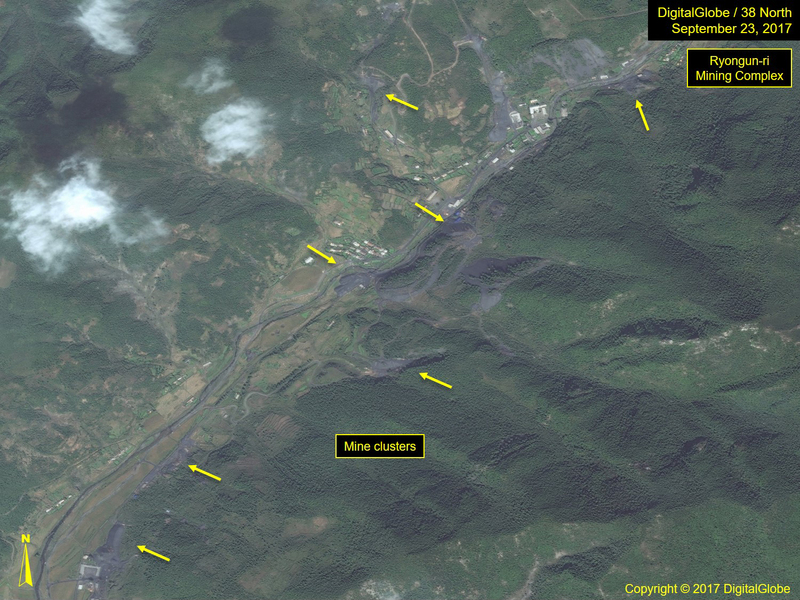 The level of missile data provided could also be broadened. Members could begin to share telemetric data of flight-tests, and permit a limited annual number of test observations – even if only on a selective basis. Although not all of these states are members of the Hague Code of Conduct against Ballistic Missile Proliferation, they could still adopt its provision of providing annual lists of missile tests and details of nuclear and missile policies. Finally, the parties could agree to cap their annual number of flight-tests. The proposed creation of a unified five-state missile flight-test pre-notification regime, while serving as an inventive and feasible new nuclear confidence-building and risk-reduction measure in its own right, could begin to generate the necessary conditions for more ambitious developments. As China, India and Pakistan consider another decade of an increasingly complicated nuclear competition, negotiating such an agreement would be a worthy priority in their diplomatic engagements. This step could help unlock a longer-term process of more meaningful steps for sustainable war avoidance and regional stability. Frank O’Donnell is Lecturer in Strategic Studies at Plymouth University at the Britannia Royal Naval College. His co-authored monograph India’s Evolving Nuclear Force and its Implications for US Strategy in the Asia-Pacific was recently published by the U.S. Army War College, and his research on South Asian security and nuclear deterrence has appeared in Asian Survey, Comparative Strategy, Contemporary Security Policy, Orbis, and Survival. All website sources were last accessed on March 14, 2017. Debalina Ghoshal, “India: Defeating the Cruise Missile Threat,” The Diplomat, October 26, 2013; Sandra I. Irwin, “Proliferation of Cruise Missiles Sparks Concern about US Air Defenses,” National Defense Magazine, February 2013, available at http://www.nationaldefensemagazine.org/archive/2013/February/Pages/ProliferationofCruiseMissilesSparksConcernAboutUSAirDefenses.aspx. Government of Pakistan, Inter Services Public Relations, “Press Release No PR-34/2017-ISPR,” January 24, 2017, available at https://www.ispr.gov.pk/front/main.asp?o=t-press_release&id=3705&search=1; Hans M. Kristensen and Robert S. Norris, “Pakistani Nuclear Forces, 2016,” Bulletin of the Atomic Scientists Vol. 72 No. 6 (2016) p. 369. George Perkovich, “The Non-Unitary Model and Deterrence Stability in South Asia,” in M. Krepon and J. Thompson (eds.) Deterrence Stability and Escalation Control in South Asia (Washington DC: Stimson Center, 2013) p. 37. Kristensen and Norris, “Pakistani Nuclear Forces, 2016,” p. 369. “India Tests N-Capable K-4 Missile from Arihant,” Business Standard, April 13, 2016; Hans M. Kristensen and Robert S. Norris, “Chinese Nuclear Forces, 2016,” Bulletin of the Atomic Scientists Vol. 72 No. 4 (2016) p. 208; Hans M. Kristensen and Robert S. Norris, “Indian Nuclear Forces, 2015,” Bulletin of the Atomic Scientists Vol. 71 Issue 5 (2015) p. 79. Rahul Singh, “India Successfully Test-Fires Brahmos Supersonic Cruise Missile,” Hindustan Times, March 11, 2017. Hans M. Kristensen and Robert S. Norris, “Chinese Nuclear Forces, 2015,” Bulletin of the Atomic Scientists Vol. 71 Issue 4 (2015) p. 79; Sean O’Connor, “China’s ICBM Modernisation Alters Threat Profile,” Jane’s Intelligence Review, October 26, 2015. Richard D. Fisher, “US Officials Confirm Sixth Chinese Hypersonic Manoeuvring Strike Vehicle Test,” Jane’s Defence Weekly, November 26, 2015. Kristensen and Norris, “Chinese Nuclear Forces, 2016,” p. 208. Missile test data accurate as of March 14, 2017. Singh, “India Successfully Test-Fires Brahmos Supersonic Cruise Missile,” Hindustan Times, March 11, 2017; Gabriel Dominguez, “India Successfully Test-Fires AAD Interceptor Missile,” Jane’s Defence Weekly, March 6, 2017; Franz-Stefan Gady, “India Successfully Tests Prithvi Defense Vehicle, a New Missile Killer System,” The Diplomat, February 15, 2017; Bill Gertz, “China Tests Missile with 10 Warheads,” Washington Free Beacon, January 31, 2017; Inter Services Public Relations, “Press Release No PR-34/2017-ISPR”, January 24, 2017; “India Conducts Second Successful Test of Pinaka Rocket,” Times of India, January 24, 2017; Jayesh Dhingra, “India Successfully Test-Fires Pinaka Mk II Guided Rocket,” Jane’s Defence Weekly, January 13, 2017; Inter Services Public Relations, “Press Release No PR-10/2017-ISPR”, January 9, 2017; “India Successfully Test-Fires Agni-IV Missile,” Economic Times, January 2, 2017; T.S. Subramanian, “Nirbhay Missile Test ‘An Utter Failure’”, The Hindu, December 21, 2016; “Improved Version of Babur Cruise Missile Tested Successfully,” Dawn, December 15, 2016; Bill Gertz, “China Flight-Tests 10 DF-21 Missiles,” Washington Free Beacon, December 2, 2016; Hemant Kumar Rout, “India Test-Fires Nuclear-Capable Agni-I Ballistic Missile,” New Indian Express, November 22, 2016; Hemant Kumar Rout, “India Successfully Conducts Twin Trial of Prithvi-II Missile,” New Indian Express, November 21, 2016; “IAF Test-Fires Land-Attack Version of Brahmos,” The Hindu, May 28, 2016; Hemant Kumar Rout, “Advanced Pinaka with New Technology Test Fired,” New Indian Express, May 21, 2016; Reuben F. Johnson, “China and Russia Take Aim at THAAD with Hypersonic Programmes,” Jane’s Defence Weekly, May 10, 2016; Bill Gertz, “China Flight-Tests New Multiple-Warhead Missile,” Washington Free Beacon, April 19, 2016; Bilal Khan, “Pakistan Navy Inducts New Anti-Ship Missile ‘Zarb’” Quwa, April 10, 2016, available at http://quwa.org/2016/04/10/pakistan-navy-inducts-new-anti-ship-missile-zarb/; Hemant Kumar Rout, “Maiden Test of Undersea K-4 Missile from Arihant Submarine,” New Indian Express, April 9, 2016; Bill Gertz, “Pentagon Concerned by Chinese Anti-Ship Missile Firing,” Washington Free Beacon, March 30, 2016; Hemant Kumar Rout, New Indian Express, “K-4 Missile Test a Roaring Success,” New Indian Express, March 16, 2016; Richard D. Fisher, “China Reveals MRBM Maneuverable Warhead,” Jane’s Defence Weekly, February 15, 2016; Government of Pakistan, Inter Services Public Relations, “Press Release No PR-16/2016-ISPR,” January 19, 2016, available at https://www.ispr.gov.pk/front/main.asp?o=t-press_release&id=3163#pr_link3163. This launch was described by China as a BMD test, but is suspected to be an anti-satellite test. Bill Gertz, “2016 was a Big Year for China’s Military: Carriers, Missiles and More,” The National Interest, December 29, 2016. Dalton and Perkovich, “India’s Nuclear Options and Escalation Dominance”; Kristensen and Norris, “Chinese Nuclear Forces, 2016,” p. 207, and “Pakistani Nuclear Forces, 2016,” p. 369. Government of India, Ministry of External Affairs, “Agreement Between the Republic of India and the Islamic Republic of Pakistan on Pre-Notification of Flight Testing for Ballistic Missiles,” October 3, 2005, available at http://mea.gov.in/Portal/LegalTreatiesDoc/PA05B0591.pdf. Andrew S. Erickson, Abraham M. Denmark, and Gabriel Collins, “Beijing’s ‘Starter Carrier’ and Future Steps: Alternatives and Implications”, Naval War College Review Vol. 65 No. 1 (Winter 2012) pp. 41-42. This new regime would not affect the missile bans in place under the existing US-Russia arms control agreements. Recent bilateral nuclear dialogues have focused upon respective policy approaches to disarmament, non-proliferation, export controls, and India’s prospective membership of the Nuclear Suppliers Group. However, they have deliberately omitted nuclear doctrinal and posturing concerns. “India Says Holds ‘Substantive’ Nuclear Talks with China,” Reuters, September 14, 2016, available at http://www.reuters.com/article/us-india-china-nuclear-idUSKCN11J1NB; “India, China Hold First Dialogue on Disarmament, Arms Control,” Economic Times, April 20, 2015; Tong Zhao, “The Time is Ripe for a China-India Nuclear Dialogue,” Carnegie-Tsinghua Center for Global Policy, Beijing, March 17, 2016, available at http://carnegietsinghua.org/2016/03/17/time-is-ripe-for-china-india-nuclear-dialogue-pub-64283. Andrea Berger, The P-5 Nuclear Dialogue: Five Years On (London: Royal United Services Institute, 2014) pp. 11-12; Gregory Kulacki, “Chickens Talking with Ducks: The U.S.-Chinese Nuclear Dialogue,” Arms Control Today, October 2011, available at https://www.armscontrol.org/act/2011_10/U.S._Chinese_Nuclear_Dialogue. Arun Sahgal, “Why India’s ICBM Tests Rile China,” The Diplomat, January 14, 2017; Zhao, “Time is Ripe for a China-India Nuclear Dialogue”.